Flare Vase. H-16", Pack of 4 pcs Discounts Apply ! 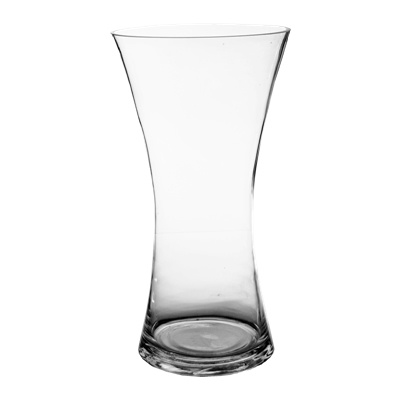 This convex clear glass vase appeals to us because of its hourglass-like shape. The waist of the vase is the narrowest part of the body, where it flares outward to its mouth and base. This design is equally adaptive to multiple applications as the egg-shaped vases. Dimension: H-16", Open D - 8.75 "